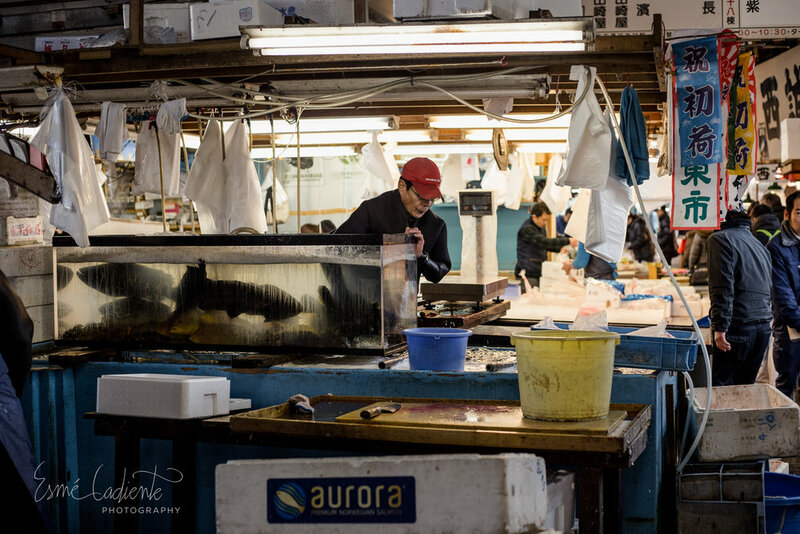 The magical world of Tsukiji Fish Market, is best told through photos. The energy in the immense market is chaotic, but orderly. The 82 year-old market is teeming with wholesalers, fishermen, merchants, and now, tourists. The latter of which has begun to cause problems for the market's well-oiled functionality. A tourist myself, I am guilty of adding to the confusion, but I was grateful for the opportunity to capture the essence of the market before it moves locations. 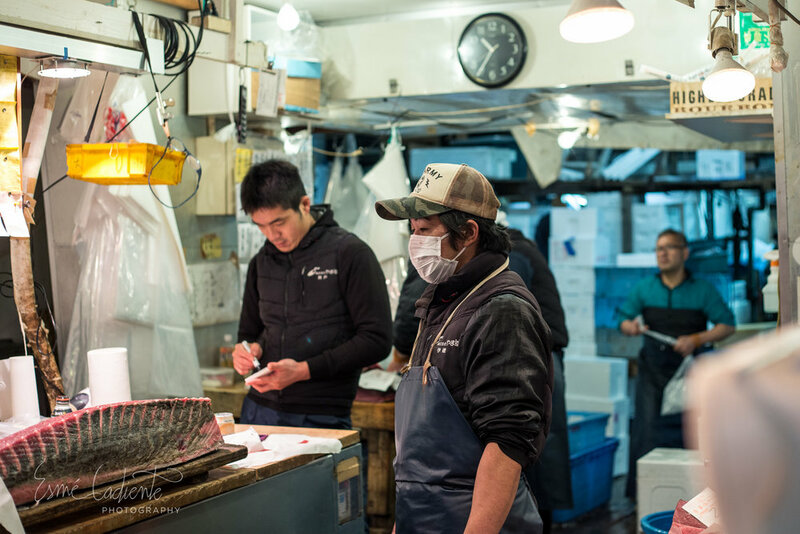 The market is famous for its early morning tuna auction, but there is talk of the market moving from its revered, historic location to make way for a highway in time for the 2020 Tokyo Olympics. There is a lot of controversy surrounding this issue and currently the move has been halted due to pollution concerns at the new site, a former gas plant. Despite the controversies, the market must go on and so it does. Every day, the tuna auctions begin and by 11 am the day is winding down. 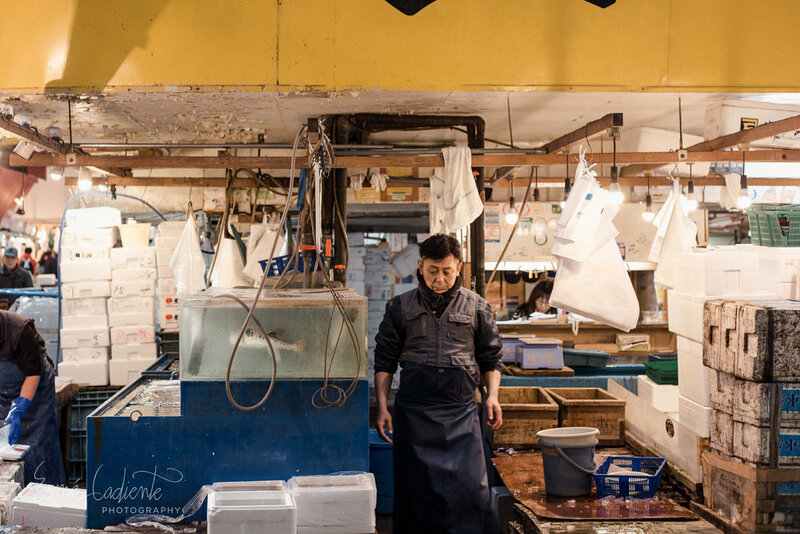 Amid the sea of chaos and movement that makes Tsukiji, there are fleeting moments of quiet and calm. The pot of tea whistling in the corner, the gloves tossed to the side, the woman's blade as it makes contact with the fish skin. 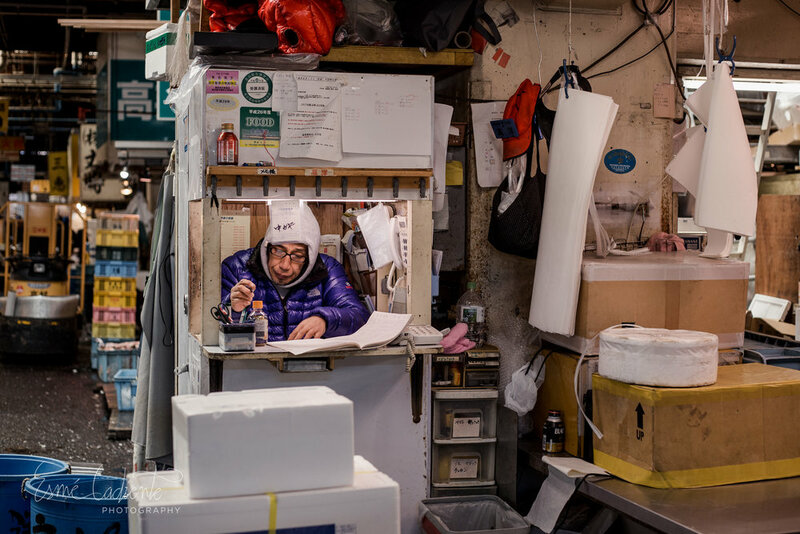 These are the moments I sought to capture, as well as the hustle and bustle of market life.